Sometimes I feel like Nintendo will make me homeless, so now I have to work even harder. I'm just hoping this isn't going to end up being like Hyrule Warrior where it doesn't work well on the original 3DS. I'm extremely excited for Metroid 2 3DS though. I'm hoping that they don't just assume everyone already has a new 3DS and they are just forgetting to mention it's exclusive or something. I'm probably putting way too much thought into it though. 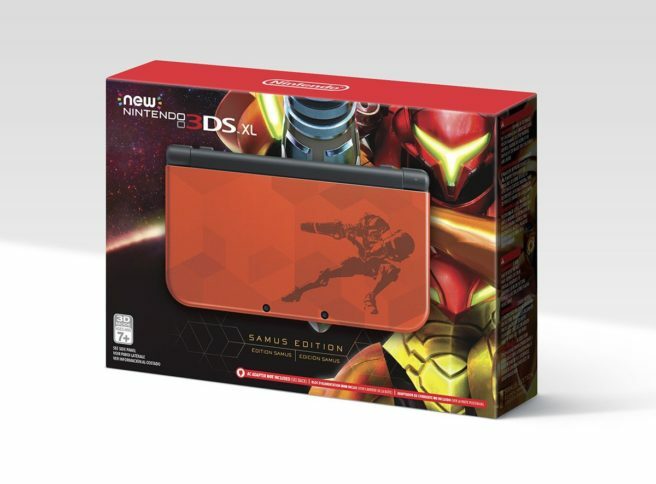 As for this New 3DS for Metroid 2, that's awesome! I love the design of it!! @eliasthompson no, it's in the us too, I just follow a lot of Nintendo accounts lol I think the bottom colors are different per region, I saw one yellow and another gray. I gotta say, the planet and art in MSR looks really, really pretty. But I hate Samus's design. Her legs are stupidly slim. @hackmi her neck looks like it's broken. The top looks so heavy and the bottom half is so slim it T R I G G E R S me so much. How can she do it, what is her secret? M: SR doesn't come with the DS. Whoops. @metroid3d I agree. A missed bundle opportunity there. Honestly, if you're willing to buy a New 3DS themed after Samus, you're roughly 98% likely to pick up the corresponding new title for the same system. Just saying. Mmmmm, it looks soo good! Now all we need is the Legacy Edition in the US. @fatherbrain230 announcing it at E3 would've been great because then I would've ditched the soundtrack for one of the prettier systems. And I own the Luigi 30th edition thing and it's pretty. Too bad I already have a New 3DS XL.